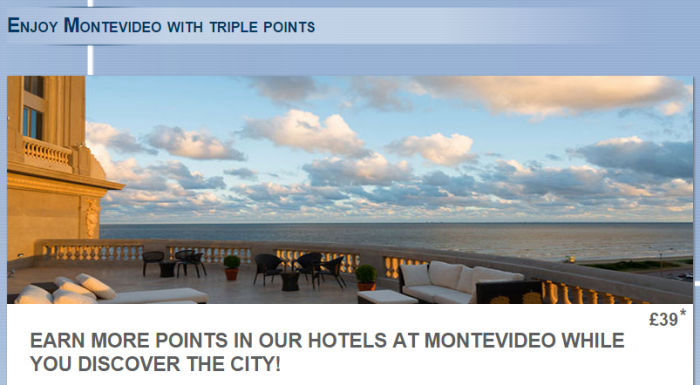 Le Club Accorhotels has new triple points promotion for stays in Montevideo between July 1 – August 31, 2015. The offer is valid at three hotels in the city and for bookings made between July 1 – 30. You can access this offer on Le Club Accorhotels web page here. I was in Montevideo earlier this year for few nights and stayed at the Sheraton and Four Points hotels in the city. Didn’t have time to check these Accor hotels out. The location of the ibis is a good one, however. The T&C’s that Le Club Accorhotels has attached to this promotion are entirely to different offer….